One of the trends I fell in love with from Fall ’15 that I am still seeing everywhere is festive folk. I love all the playful and nostalgic prints of this trend. And it totally incorporates embroidery, which I obviously adore. This rad drop waist (eternally favorite style) dress from Ulla Johnson (one of my top end all be all designers) will be a constant in my Spring and Summer rotation. 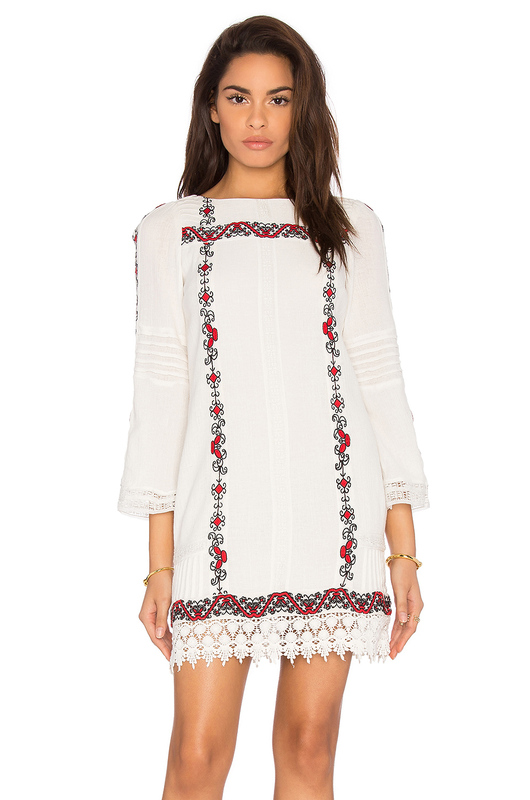 The detailing is gorgeous, the fit is easy breezy and I love the boho feel. To bring this look more into Spring ’16, I added my black gladiator style Steve Madden sandals. If you want to try this wrap around look, these are a fab fab option. Comfy and well-priced. I know this trend will pass, but right now I am loving it and think it will continue through the Summer. 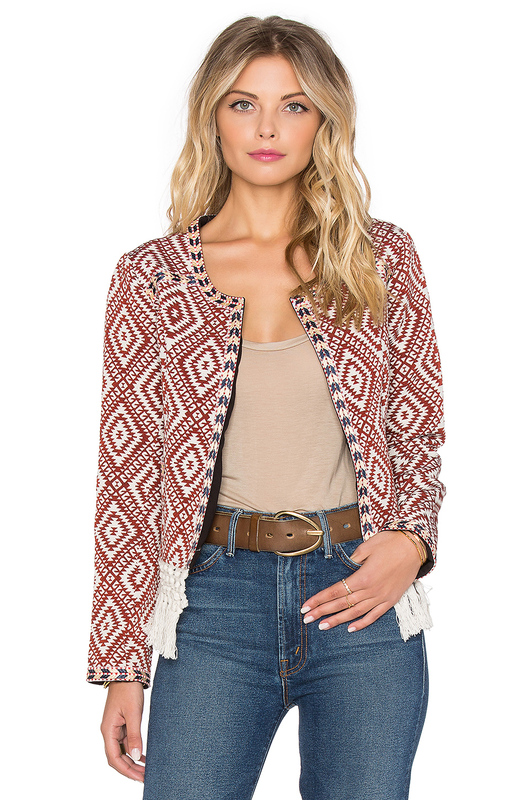 It’s just a boho chic way to dress up your daytime look. Before heading out, I grabbed my newest favorite sunnies from Quay. I love that they are a futuristic cat eye..just so fun! 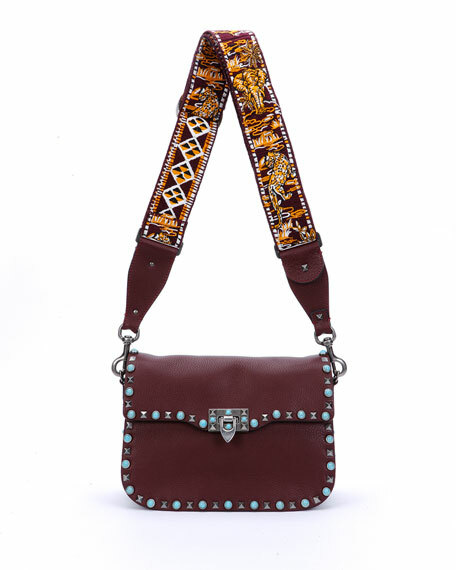 My Gucci crossbody was the perfect match with it’s tassles and embossed detailing. I can’t stop this bag. It’s big enough to carry your necessities, but small enough to take out at night. Win win. To finish off this look, I added two rings: one stacked one from Melinda Maria and one oversized one from House of Harlow 1960. I can’t believe Valentine’s day already coming up this weekend! Time is has been flying by lately, right? I know most people can’t stand this gushy holiday, but I totally love it. It’s just another reason to remind your loves ones that you appreciate and care for them. And really, to me, it’s just another reason to buy a cute new outfit! When I saw this romper on revolveclothing.com I had to have it. Long sleeves, polka dots and pockets? Yes, please. Nothing beats a look that is cute, flirty and fun, but also comfy. Since the romper has alot going on I kept my accessories pretty simple. I love mixing reds and pinks, so I threw on my all time fave Valentino crossbody. It’s the perfect size for a night out! For shoes I wanted to pull off the studs on my bag, so I went with my go-to silver Manolo Blahnik “chaos” heels. I have these in a few colors because they are super comfortable (honestly!) and such a great option when you need an uncomplicated choice. No look is complete without a fun ring, so I threw on this fab Melinda Maria one. I love how it looks like a bunch of little rings, but is really only one. Before heading out, I grabbed my tortoise rimmed silver mirrored Illesteva sunnies (I told you I have an obsession with these) and was good to go. I can’t wait to wear this look and celebrate another fab year of love and laughs with my husband on Saturday at our current favorite Mexican spot, South of Nick’s. I die over their shrimp done in a spicy chipotle sauce. It is everything! 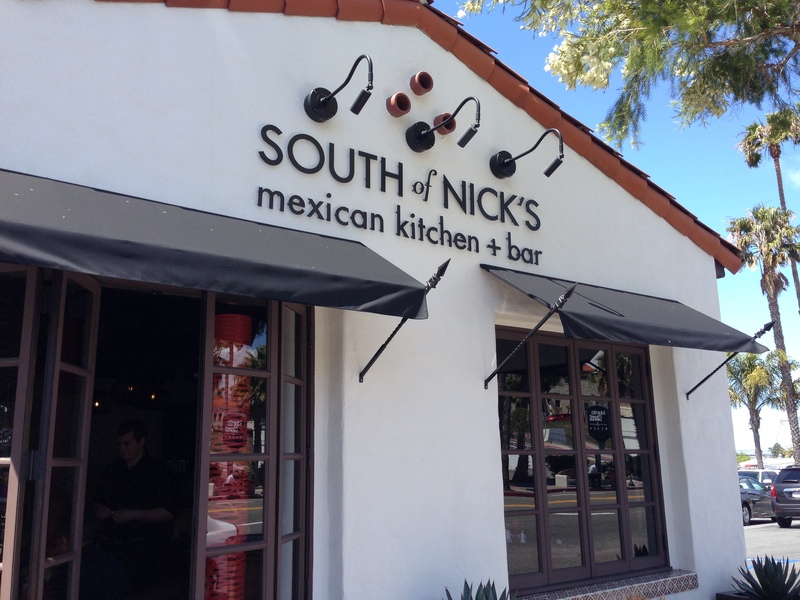 (Their skinny margs and guacamole are pretty tasty too) If you live in OC and haven’t been, it’s a must try. Every season I get totally hooked on one or two of the seasons biggest trends. 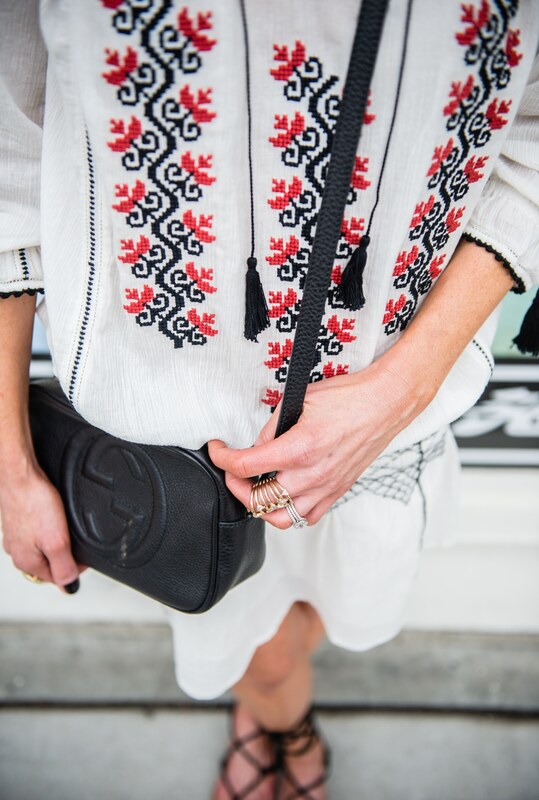 For Spring ’16, one is definitely embroidery detailing. 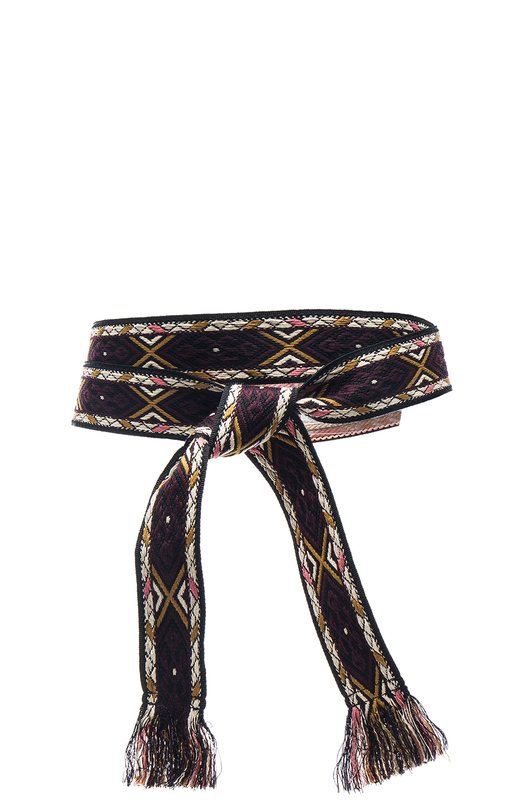 I have been seeing it everywhere from Valentino handbags to fun Isabel Marant Etoile belts. It’s totally boho chic (back to my forever trend) and such an easy trend to try. I fell in love this fab Derek Lam 10 Crosby version that I found at Intermix. I mean how insane is the embroidery work? I love how the fit is so simple, but so on point. Since it’s so loud, I paired it with a really basic black croptop turtleneck that I found on Asos (only $20!!). One of my oldest accessories that I never tires is my Michele watch. I got it over 7 years ago and I still love it. I just love that I can switch out the band depending on what I am wearing and they always have fun new colors and styles. It’s like getting a new watch all the time! I am ring fanatic, so I love that wearing mutiple rings is so on trend right now. This criss cross one I am wearing is wallet-friendly but so cute (no one needs to know the diamonds aren’t real, right?). No outfit is complete without some fun sunnies and I can’t get enough of Illesteva. I currently own 3 pairs and most definitely have my eye on some of their newer styles for Spring. I just love an accessory with some personality!